One of the most famous World War I aircraft – and certainly the most recognizable - is the red Fokker Dr.I piloted by Manfred Von Richthofen. The Red Baron won his last victories flying this triplane fighter, and he was piloting it when he was killed. His aircraft is one of the three Fokker Dr.Is released as WW1 Wings of Glory Airplane Packs: Also included in the release are the Dr.Is piloted by Hans Kirschstein and Lothar von Richthofen. Developed to contrast the successful Sopwith Triplane, the Fokker Dr.I triplane ("Dreidecker"), was an outstanding plane in a dogfight due to a combination of features – it was small, light-weight and highly maneuverable, with good upward visibility and no bracing wires that could be shot away during combat. In the Spring 1917, almost every German and Austro-Hungarian factory had at least one team hastening to design triplane fighters. The first one to successfully achieve this goal was the Fokker designer Reinhold Platz, with the V4 prototype, a small, rotary-powered triplane with a steel tube fuselage and thick cantilever wings. V4 prototype at the Fokker Factory. The V4 presented problems due to unbalanced ailerons and elevators, which were corrected in a revised prototype, the V5, with the introduction of horn-balanced ailerons and elevators, as well as longer-span wings. It also featured inter-plane struts, which were not necessary from a structural standpoint, but which minimized wing flexing. The changes improved the maneuverability, the feature which- together with its ability to easily outclimb any opponent- made this aircraft very popular with German aces. The Dr.I was powered with an Oberursel UR.II, 9 cylinder reciprocating, 110 hp engine, and was armed with 2 Spandau 7.92 mm light machine guns. Two pre-production triplanes were produced, designated F.I (serials 102/17 and 103/17), and were sent to Jastas 10 and 11 for combat evaluation. They arrived in Belgium at the end of August 1917. The first combat flight was on August 30th, when Leutnant Werner Voss, Staffelführer of Jasta 10 scored a victory. Two days after, Manfred von Richthofen flew the 102/17 for the first time and reached his sixtieth victory. He reported that the F.I was superior to the Sopwith Triplane and recommended fighter squadrons to be re-equipped with this new aircraft as soon as possible. Soon, however, there was a dramatic turn of events. The 102/17 was shot down and crashed on September 15th, after an intense dogfight in which Oberleutnant Kurt Wolff, Staffelführer of Jasta 11, died. On September 23rd, after scoring a series of 20 victories in 24 days flying the 103/17, Voss was killed in a combat with six SE5 fighters of the Royal Flying Corps. Dr.Is began to be delivered to Richthofen's Jagdgeschwader I squadrons in October 1917, but by the end of that month the triplane was temporarily withdrawn from service, when several pilots were killed as a result of wing failures. After an investigation, the wing spars and ribs were varnished to protect them from moisture, and the rib structures and the attachment of the auxiliary spars to the ribs were strengthened. Existing triplanes were repaired and modified and, after testing, the triplane's return to service was authorized on November 28th, 1917. The triplane Fokker Dr.I was a small, lightweight and highly maneuverable fighter. The Dr.I never recovered from this setback and was not supplied to many fighter squadrons. By January 1918, Jastas 6 and 11 were fully equipped with the triplane, but only 14 squadrons used the Dr.I as their primary equipment. Frontline inventory peaked in late April 1918, with 171 aircrafts in service on the Western Front. When the Dr.I production was ended, in May 1918, 320 units had been built. 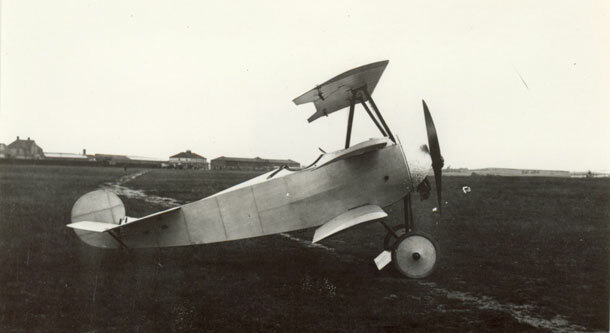 Despite the failures, which continued to a lesser extent, the poor autonomy (only an expert pilot could fly for over one hour with its small tank, while the Allied pilots could fly missions of two or even three hours) and the limited horizontal speed (165 km/h at 4000 meters) the Fokker Dr.I became one of the most renowned fighters thanks to the great aces who used it, specially the Flying Circus of Richthofen, famous for its techniques and also for the bright colours of its aircrafts. 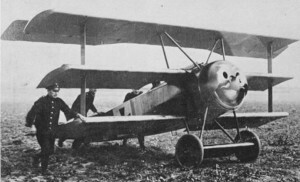 The Dr.I was withdrawn from frontline service in June and July 1918, replaced by the Fokker D.VII. 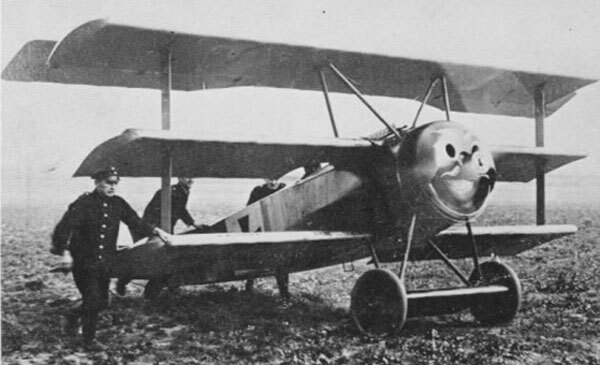 Surviving triplanes were distributed to training and home defense units, and when the war ended, many remaining Dr.I fighters were assigned to fighter training schools at Nivelles, Belgium, and Valenciennes, France. Information sources: The Aerodrome, Wikipedia, Military Factory, WW1 Aviation, Aviation History. Top image: The Jasta 26's pilot Otto Esswein with his Fokker Dr.I triplane. To see the second part of this preview, click here.